"Trance Form" is a very good classic trance production with a nice, hypnotic, intro and has a nice, simplistic, trance lullaby as a main melody. Unlike many similar tracks who use a similar 4/4 techno beat, "Trance Form" uses a nice tribal kick to make it a bit special than your typical pre-1993 trance production. "Invention" is simply a remix of "Trance Form" despite the different name. Nice mix but not as lasting as "Trance Form" I use to like this version more, but now I prefer "Trance Form" after a few listens. "De Cicos" is a decent Hard Trance recording, nothing special about it and easily the weakest track on this EP. The female vocal used in this track is annoying enough to make you skip this track in favor of the other two tracks. 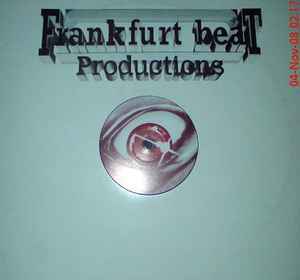 Very cheap and fairly easy to find the 12" if you dig deep enough on the web (CDM version is fairly diffcult to find) "Trance Form" is one of the best tracks Frankfurt beat has to offer and a welcone addition to my library of music.